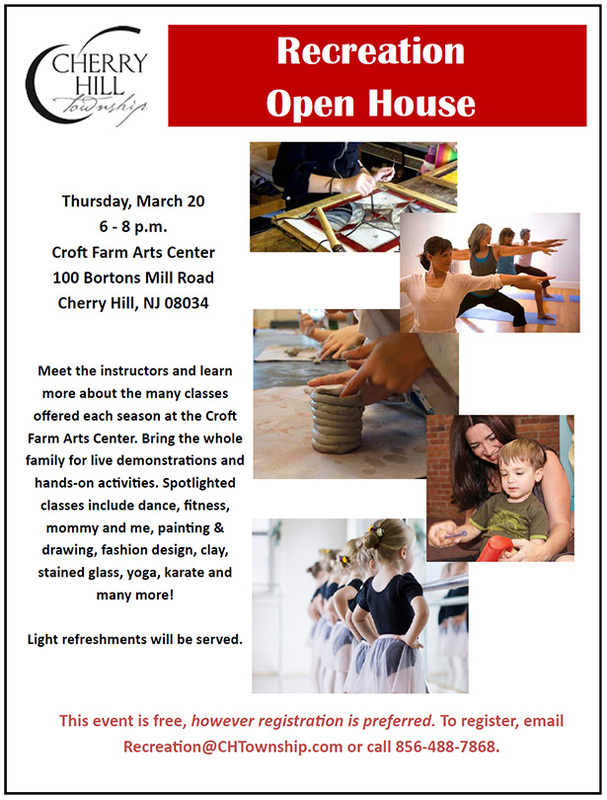 Meet the instructors and learn more about the many classes offered each season at the Croft Farm Arts Center. Bring the whole family for live demonstrations and hands-on activities. Spotlighted classes include dance, fitness, mommy and me, painting & drawing, fashion design, stained glass, yoga, science and many more! This event is free, however registration is preferred. To register, email Recreation@CHTownship.com or call 856-488-7868.